Depression doesn't happen all at once. It starts gradually and builds momentum over time. If you go through a difficult experience, you may stop taking care of yourself. You may stop exercising and eating healthy, which will end up making you feel even worse as time goes on. You are caught in a downward spiral, but you may feel too tired, too overwhelmed, and too scared to try and pull yourself back up. The good news is that just one small step can be a step in the right direction. In The Upward Spiral, neuroscientist Alex Korb demystifies the neurological processes in the brain that cause depression and offers effective ways to get better-one little step at a time. In the book, you'll discover that there isn't "one big solution" that will solve your depression. Instead, there are dozens of small, practical things you can do to alleviate your symptoms and start healing. Some are as simple as relaxing certain muscles to reduce feelings of anxiety, while others involve making small efforts toward more positive social interactions. Small steps in the right direction can have profound effects-giving you the power to literally "reshape" your brain. Like most people, you probably didn't wake up one day and find yourself completely depressed. Instead, it probably happened over time, as a series of reactions to difficult situations and negative thinking. But if you are ready to reverse the trajectory of your depression and find lasting happiness, this book will show you how. "Alex Korb's The Upward Spiral is a masterful account of the neuroscience behind depression, as well as of concrete steps that will lead to an 'upward spiral' out of depression. Korb explains neuroscience in a clear and accessible way, and shows how various brain malfunctions lead to different symptoms of depression. ... Throughout the [book], Korb circles back to some of his own experiences, making his account all the more powerful and real. This book is a must-read for those who struggle with depression and want some guidance on how to understand and manage it--as well as for therapists who want to learn more about the neuroscience of depression and its treatment." --Elyn Saks, Orrin B. Evans Professor of law, psychology, psychiatry, and the behavioral sciences at the University of Southern California Gould School of Law, and author of The Center Cannot Hold "The Upward Spiral presents an engaging, accessible, and informative synthesis of the current thinking on depression and its treatment. A cohesive neuroscience perspective is skillfully interwoven with a practical guide to strategies that can both attenuate pathological negative moods, as well as enhance emotional well-being across the clinical spectrum." 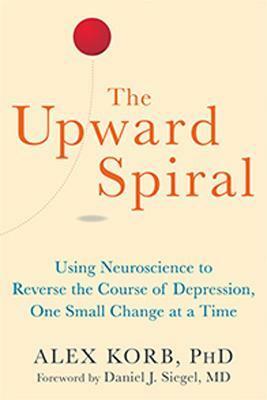 --Helen S. Mayberg, professor of psychiatry in neurology and radiology, and Dorothy C. Fuqua Chair in psychiatric neuroimaging and therapeutics at Emory University School of Medicine "Alex Korb's The Upward Spiral is a clear and engaging explanation of the neuroscience behind depression. Korb sheds light on this mysterious and often misunderstood disorder, and, in the process, enlightens the reader about the basics of the brain and how it shapes--and is shaped by--our moods, motivations, decisions, and actions."